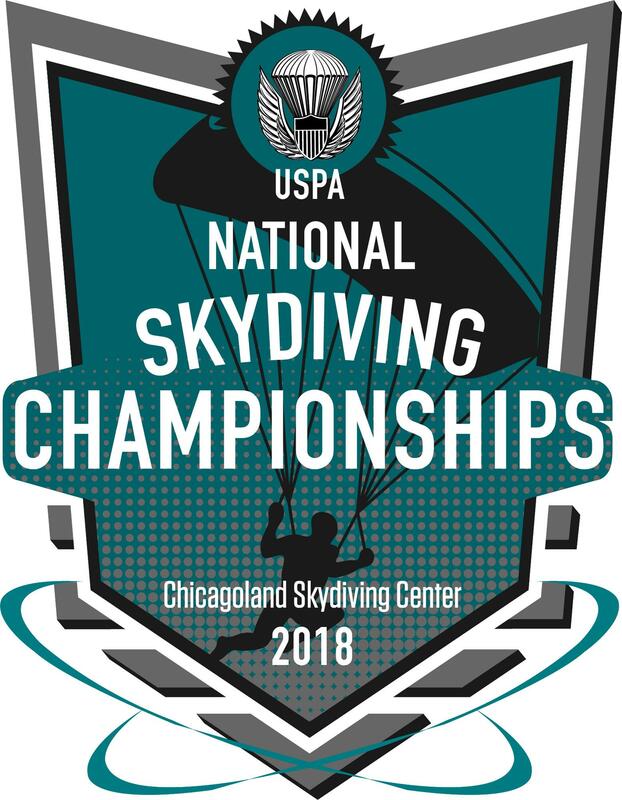 With the clouds finally clearing at Chicagoland Skydiving Center in Rochelle, Illinois, the action went into overdrive Saturday at the 2018 USPA National Skydiving Championships. The mixed formation skydiving and intermediate 4-way FS events were next up. MFS completed all eight rounds on Saturday, with SDC Revolutionary War winning gold in open and USAF Wings of Blue taking the top spot in advanced. Throughout the weekend, 32 intermediate 4-way teams completed their 10-round event. It was a tight race at the top, with TSC Cadence earning gold just one point ahead of guest team SDC Rhevolution XP. SDMW X took silver, with Cali4nia Kids winning bronze. The remaining 4-way events—with 12 teams in open and 21 in advanced—are center stage for their event Monday and Tuesday. Follow all the scores at OmniSkore.com, and check out USPA’s Facebook page for photos throughout the event, which continues until September 18.